David Robert Malpass has previously served on the boards of the Council of the Americas, Economic Club of New York, and the National Committee on US-China Relations. What To Know About World Bank’s New President. Senior United States Treasury official David Robert Malpass has been designated as President of the World Bank. The executive board of the World Bank on 5th of April unanimously nominated Malpass as the 13th President of the Bank for a 5-year. Mr. Malpass formally took office on April 9, 2019. Malpass has previously served on the boards of the Council of the Americas, Economic Club of New York, and the National Committee on US-China Relations. 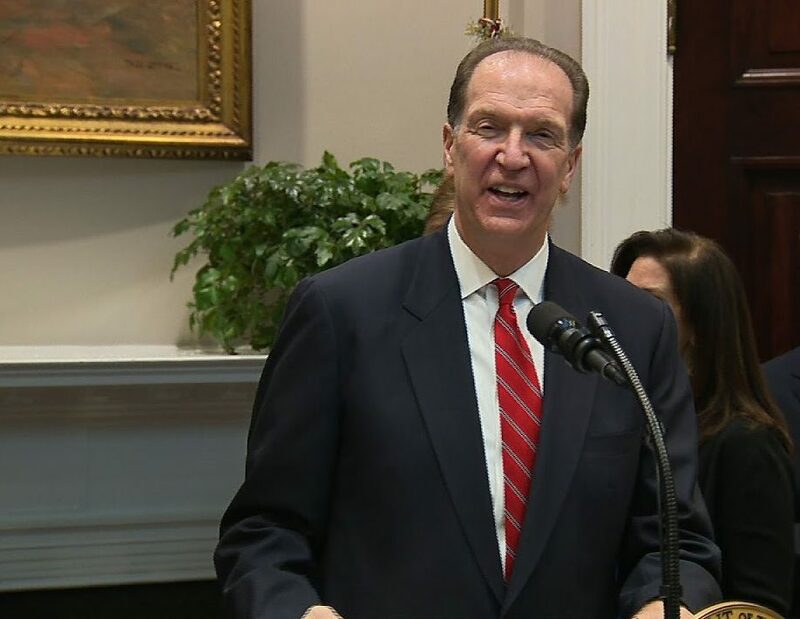 In February 2019, US President Donald J. Trump announced Malpass as the nominee for President of the World Bank, succeeding Jim Yong Kim, who had announced in January 2019 that he would be stepping down three years prior to the end of his five-year term in 2022. Malpass was unanimously approved by the executive board on April 5,2019.